Two of the most risk averse industries are health care and financial services. Yesterday I wrote about how banks are increasingly using public IaaS cloud services. A new study this week finds that health care are warming to the cloud too. Two years ago HIMSS Analytics and Level 3 found that 22% of health care providers planned to use cloud for back-office functions. This year, the number more than doubled to 46.7%. 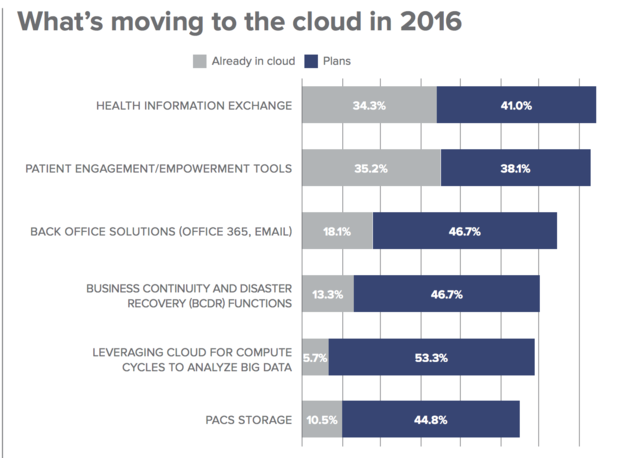 Just over one in three respondents said they have some sort of patient engagement tools hosted in the cloud. Another popular use case for cloud was Health Information Exchanges. HIMSS and Level 3 surveyed 150 health care IT workers to determine how they use cloud services. Research firm MarketsandMarkets recently predicted that use of cloud services (SaaS, IaaS and PaaS) in the health care industry will grow from $3.73 billion in 2015 to $9.5 billion in 2020. While it shows a growing trend of security-sensitive industries being more open to cloud services, a closer look at the data reveals continued trepidation. 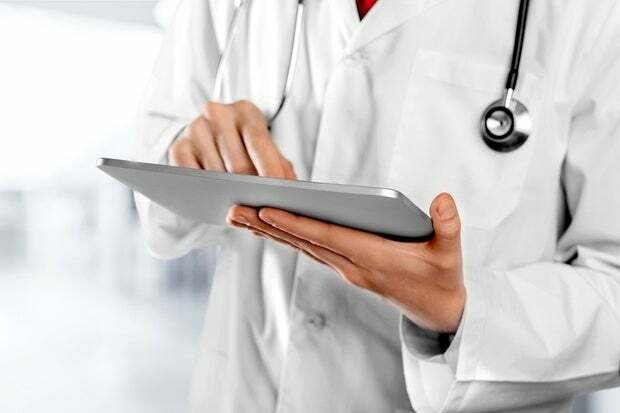 The HIMSS study found that many of the health care providers were planning to migrate to the cloud for back-office functions, but it hasn’t happened yet. MarketsandMarkets report found that the most common cloud use case - almost three-quarters - is to support finance, operations and HR apps. Sensitive patient records are not as likely to be moving to the cloud.